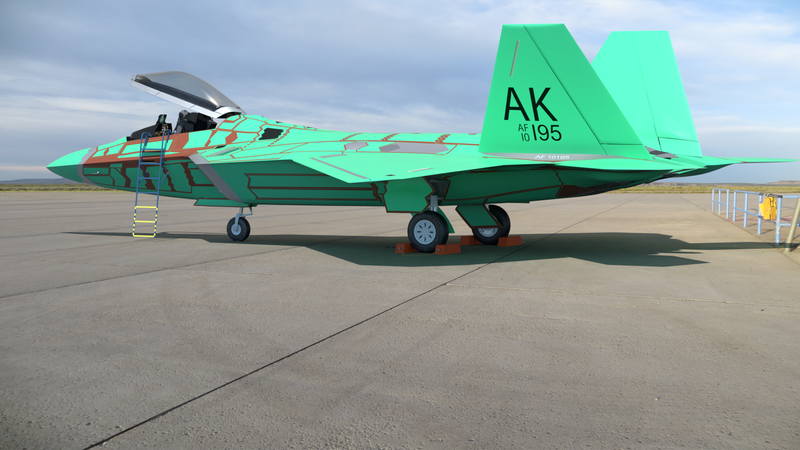 After seeing the F-22 demo here in Anchorage, in 2008, (Major Max Moga) I decided to finally take the plunge and model this difficult project. 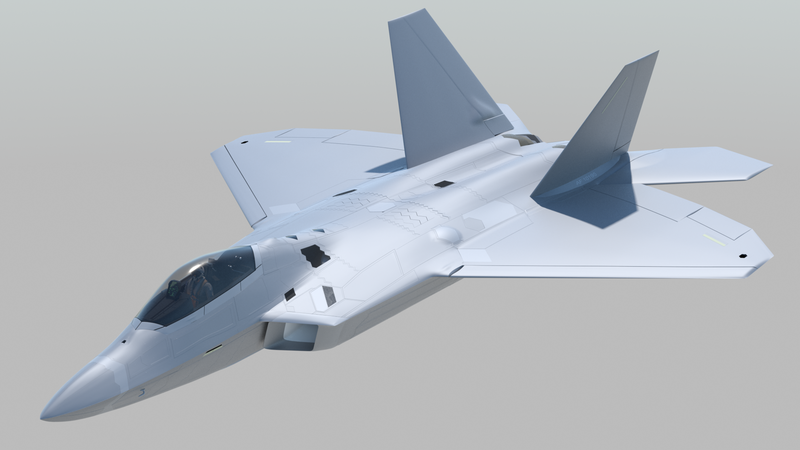 I collected all the documentation I could, and having rebuilt the aircraft three times now, over the years, I believe that my current (2015) version is one of the more accurate and full-rigged models you'll find of the F-22 "Raptor". This project is still ongoing, as I refine details and add new ones. The follow-along construction article is here. 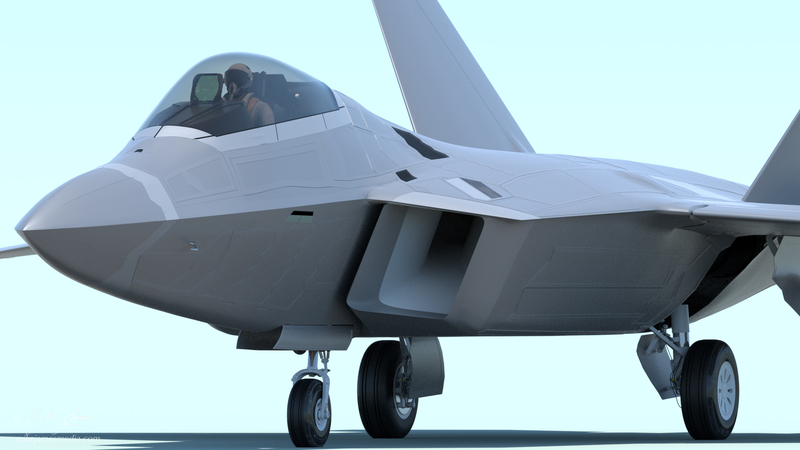 Exterior geometry was based on Lockheed Martin drawings, as well as hundreds of photos. These include quite a number of photos taken by me here in Anchorage, where we have a squadron of Raptors. 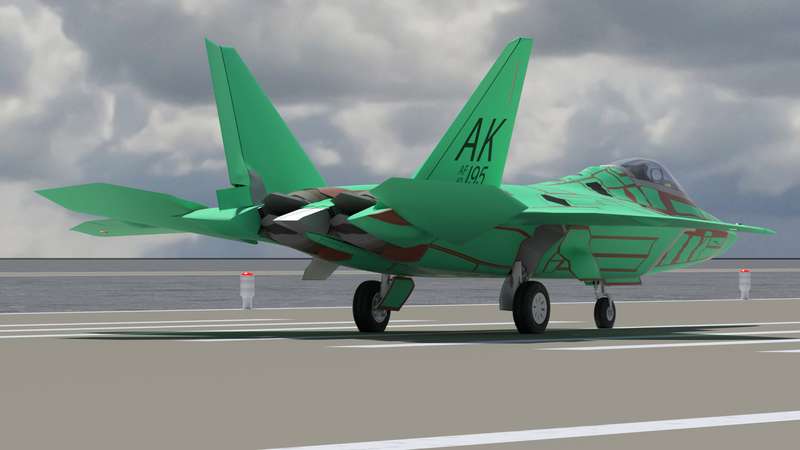 Markings emulate basic ("factory" and non-camo) versions of the Anchorage "Arctic Warriors" commander's aircraft. NOTE: Due to the unusual layered approach I used on the external markings, these may not transfer to file formats other than .lxo. Landing gear bays are modeled as shown, but not detailed. 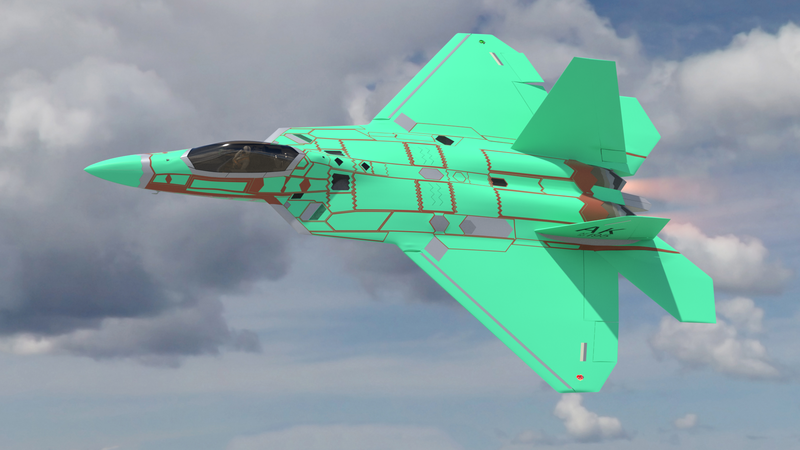 Interior ducts, basic engine housings, aft turbine blades, and diffusers are included. 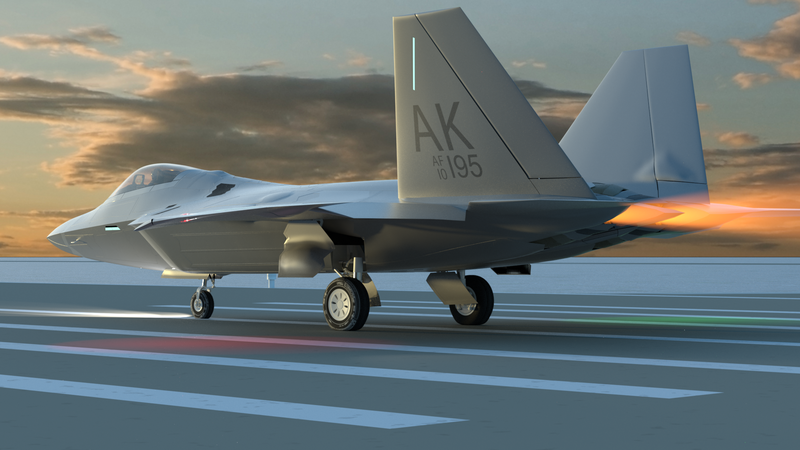 Lighting system includes two lights within the aft engine compartment, which can be used with a volumetric exhaust cloud, for the "afterburner" effect. (shown without volumetrics in the night-time image below) vVolumetric item can be used with or without the lights for a daytime exhaust trail, as shown in another one of the images below. 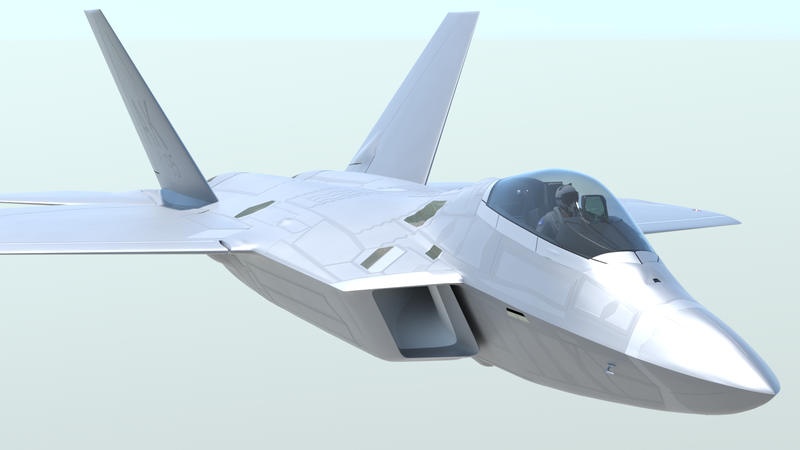 In MODO, two pop-up (slider) controllers are exposed, with one being for the flight controls and lighting, and the other being for the weapons bay doors. These animated features may not transfer properly to other file formats, although their centers (pivots points) should transfer, enabling you to rig the model in other applications, if needed. Opening and closing canopy - The canopy jackscrew turns, and it's associated parts move realistically. 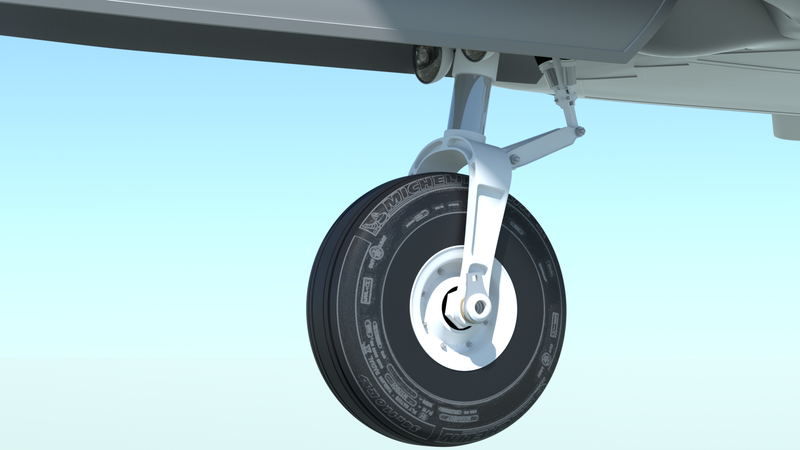 Nose gear is steerable when the gear is down. 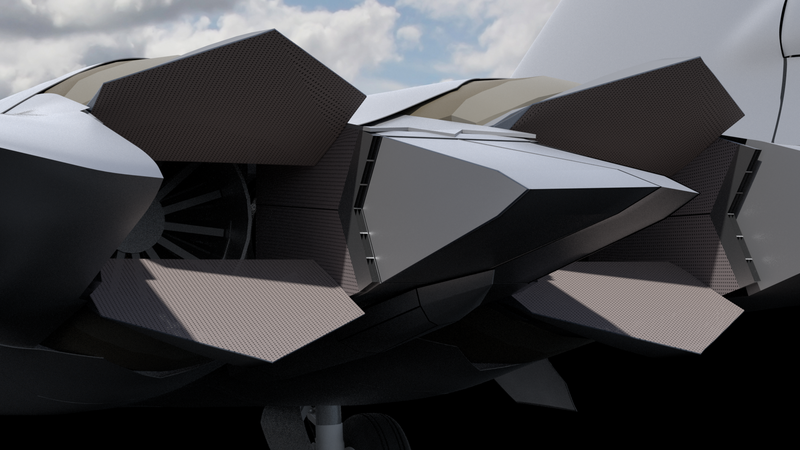 Thrust-vectoring nozzles are moveable, separately from the other flight controls. Rigged control surfaces include the leading edge flaps, trailing edge flaps, ailerons, tailerons, and rudders. 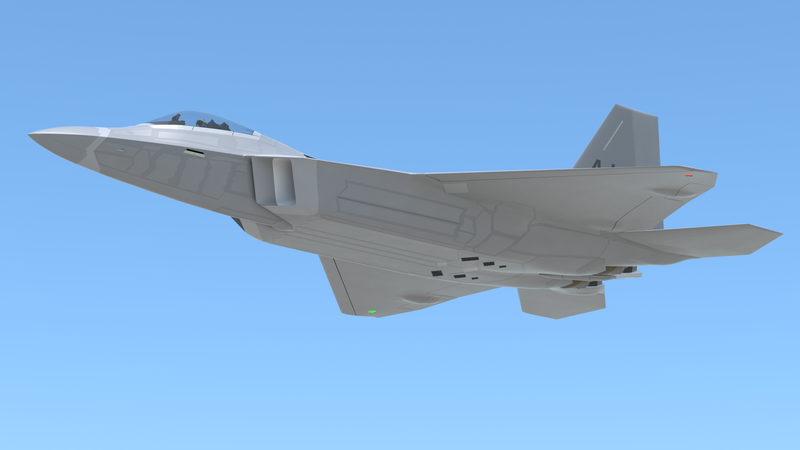 The ailerons, flaps, and rudders are not linked, left-to-right, so that if you like, you can animate them as on the actual aircraft, for the various flight modes. Each set of weapons bay doors (left, right, bottom) are on their own controller, so they can be operated separately. Wheels are rigged to roll when the aircraft moves. 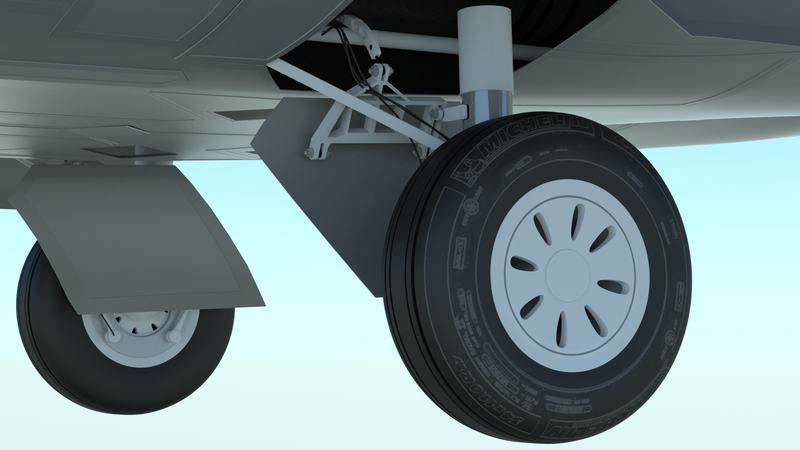 Tires compress realistically and oleos compress realistically when on the ground, and react properly during a takeoff or landing sequence. 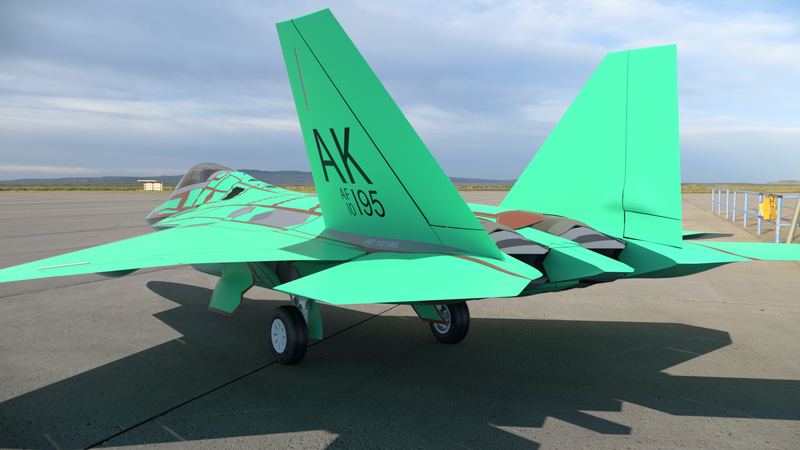 External lighting includes separate controllers for the position lights on the wings, landing light, taxi light, and electroluminescent strips on the wings, tail and vertical fins. 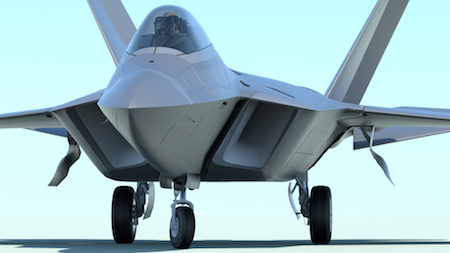 Separate controllers operate the APU intake and exhaust doors, and air refueling door. There is a controller to turn the pilot's head left and right.